I think it is safe to say that neither Andie nor I ever thought that our family would ever have anything to do with the former Soviet Union. Both of us grew up believing that Russia was our nation’s arch-enemy, and now we are taking regular trips the world’s largest country in order to help them learn about Christian home education! It all started back in the summer of 2010 when Blake Purcell, missionary veteran to Russia, visited our church in Colorado to share about his ministry work in Russia. At an evening event in one of our elders homes we were able to get to know Blake a little more and were intrigued by the fact that he and his wife, Cathy, had raised six children on the mission field. 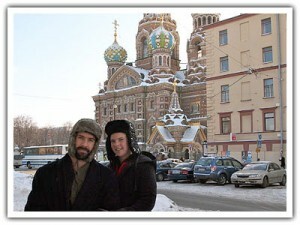 Once he learned that Andie and I had lived for a year in Afghanistan with two of our children, he got very excited and suggested that we come on out and check out what he was up to in St. Petersburg. We swallowed the bait. 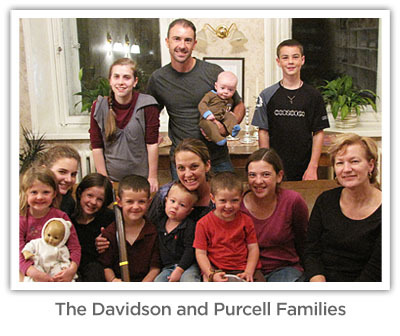 Since Andie was pregnant with Jackson (our 7th) at the time, we settled for a smaller representation of the Davidson family for our first visit. In February of 2011, just a few months later, Talitha (our oldest) and I traveled out to St. Petersburg, Russia, for a few days to spend time with Blake and his family; and then to Karaganda, Kazakhstan, for a week to visit one of the pastors Blake had been training from a distance. There in Russia and Kazakhstan we learned more about Blake and Cathy’s commitment to bring reformed teaching and training to pastors and potential pastors. Through this faithful family’s work, there are churches planted and pastors trained across nine time-zones and multiple Russian-speaking countries! On this visit, Blake also shared with us his desire to see these families learn more about how to raise up the next generation through intentional discipleship methods. This last conversation regarding the discipleship of the next generation was one of the initial seeds that eventually grew into our Paideia Missions ministry. 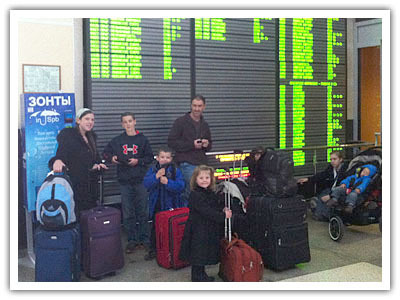 After Tali and I arrived back home, Andie and I began talking about how we could get our whole family over to Russia to share with these families and churches our homeschooling experience. Finally, after a year and a half and two more babies, we accomplished our dream: a two month trip with all ten of us to visit Russia! What an adventure – you can look back on our blog to follow the course of that trip in October & November of 2012. While there we visited several churches and families, not only in St. Petersburg, but also in Vyborg (near the Finnish border), Vladivostock (on the far-east coast), and Tyumen (Siberia). It was quite an adventure traveling through airports, metro (subway) stations, and walking through foreign cities with our little gaggle of kids. God opened up many doors and many hearts to hear about God’s blessing of family discipleship. After our trip, we learned that over a dozen families decided to homeschool their children. Well, we knew we couldn’t stop there, so that was where the idea of a regional conference was born. With our many new contacts in the St. Petersburg area, we began planning for a conference that would combine the ideas of education and discipleship – the true meaning of the word Paideia. 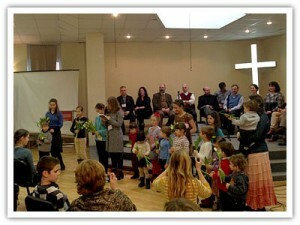 In March of 2014 we hosted this conference at the St. Petersburg Christian University and saw dozens of new families come to learn how they could start to teach and train their own children through a Biblical worldview. On this trip we also got to accomplish another one of our goals for Paideia Missions, the recruiting and partnership of friends here in America to join us on our mission to export the ideas surrounding Christian home education. We had 19 Americans travel out to St. Petersburg to either speak or serve at this conference, including national conference speakers, Kevin Swanson and Geoff Botkin. We were overwhelmed by the gratitude from the Russians (and a few from other nearby countries) who attended the conference and were convinced that this event needed to become an annual event. Since then, I, Scott, made a solo trip to Moscow in September 2014 to visit new families and churches, and to “scope out the land” for potential future ministry in the capital of Russia. While it is true that Paideia Missions was established in order to share the ideas of Christian home education to all nations, Russia has offered such a wide, welcome, and open door that we cannot help but to continue traveling there to “impart some spiritual gift.” It is in this spirit of Romans 1:11-12 that we are encouraging and being encouraged by our brothers and sisters in the faith. May the Lord’s favor continue to be with these dear saints as they seek to raise up future faithful generations who put their confidence in God!